The JR West Kosei line from Kyoto (JR-B31) to Omi-Maiko (JR-B19). 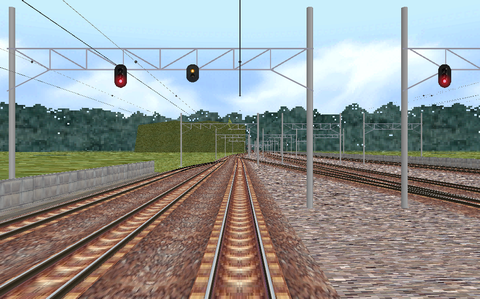 The gauge is 1067 mm and the line is electrified with 1500 V DC overhead wires. No landscape details outside the railway. About the Kosei line at Wikipedia. The website for this route has disappeared from the Internet long, long ago.